Do you ever find yourself on campus hankering for some fresh veggies? Well fear not gentle reader, the Ann Arbor Student Food Cooperative is setting up shop today in the Chemistry Building from 11 - 5. They will be selling all sorts of fruits and veggies and a variety of pre-made salads. 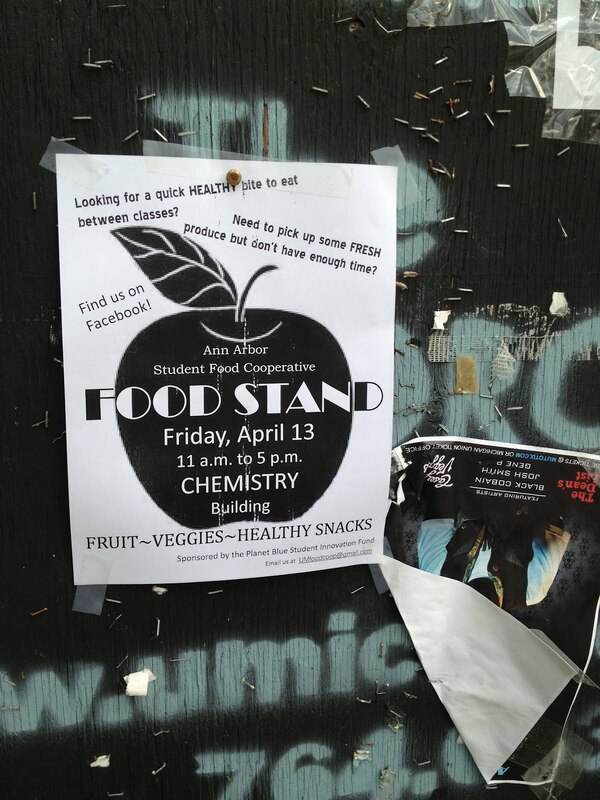 Eventually the group hopes to sell produce on campus one to two days a week.